Fujitsu Limited established the Fujitsu Scholarship Program in 1985 to commemorate the 50th anniversary of its founding. The aim was to provide the opportunity for people from the Asia-Pacific region to contribute to the region through studying different values, cultures, and global business. This has been a Fujitsu’s key initiative for deepening the relationships between the countries and citizens of the Asia-Pacific region. This scholarship has since enabled 420 professionals from 18 countries to study cross-cultural management at JAIMS, the Japan-America Institute of Management Science, in Hawaii, U.S.A. The Fujitsu Scholarship provides full financial assistance for postgraduate education and cross-cultural management training in the East-West Knowledge Leaders Program (EWKLP) at JAIMS. The EWKLP has a three-month curriculum, which synthesizes the best practices of both the East and West. The participants will sharpen their global management knowledge and skills, and build the confidence necessary for success in global business situations. Selected Fujitsu Scholar will attend the EWKLP beginning in April 2012, followed by a week-long Japan Portion. To apply for the Fujitsu Scholarship, you must meet the qualifications for both Fujitsu Scholarship and EWKLP as follows. A minimum TOEFL score of 577/233/90 (paper/computer/Internet), TOEIC score of 750, or IELTS overall band test result of 6.5 or higher from tests taken between December 2009 and November 2011. Applicants who hold a bachelor’s or advanced degree within the last five years from an accredited or recognized college or university in the United States, Australia, United Kingdom, New Zealand, Canada, or Singapore. Applicants must be a resident of the state of Hawaii, U.S.A., or a citizen of one of the following countries: Australia, Cambodia, China, Hong Kong, India, Indonesia, Laos, Malaysia, Myanmar, New Zealand, the Philippines, Singapore, South Korea, Sri Lanka, Taiwan, Thailand, or Vietnam. Applicants who are residents of the State of Hawaii will be requested to prove Hawaii residency. *Applicants from the following countries/areas are not eligible to receive the monthly stipend: Australia, Hawaii, Hong Kong, New Zealand, Singapore, South Korea and Taiwan. Fujitsu Ltd. will provide a round-trip air ticket to cover transportation from the participant’s home country to Honolulu, and back. The selection of the air carrier and travel agent, including itinerary, is at the discretion of Fujitsu Ltd. In the event the participant wishes to change and/or expand the route and/or the period of stay, Fujitsu Ltd. reserves the right to withhold the original ticket. Fujitsu Ltd. will provide medical insurance that covers a portion of the participant’s medical expenses during the program period. The participant pays all medical expenses not covered by the medical insurance. The selection of the medical insurance plan is at the discretion of Fujitsu Ltd. The Fujitsu Scholarship is offered with the expectation that the following conditions will be met by the recipients. Upon EWKLP completion, all participants must submit a formal report that describes their learning experiences during the program. Should an emergency occur that requires travel to the participant’s home country, such travel shall be the participant’s personal expense. For the period of absence, the stipend will be prorated and subtracted from the applicable amount(s) set forth in the stipend toward living expenses. 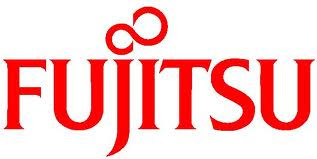 All requests for absence should be submitted in writing to Fujitsu Ltd. (through JAIMS while in Hawaii) in advance, and should be addressed to the Fujitsu Scholarship Program in Japan. Absence from or failure to complete the EWKLP without Fujitsu’s or JAIMS’ permission. Noncompliance with the regulations, policies, and other instructions of Fujitsu and/or JAIMS. Immoral, disorderly, indecent, or violent conduct. Falsification of, or misstatement in any student or program application or other records and/or at any interview. Failure to maintain good academic standing; unsatisfactory work performance. If Fujitsu terminates the Fujitsu Scholarship for the participant pursuant to the above, the participant shall return to his/her home country immediately. The participant shall inform Fujitsu and/or JAIMS in advance of the date of his/her return and the address and phone number in his/her home country after return. The participant agrees that, effective as of the termination date, Fujitsu shall have no obligation to pay or provide anything under the Fujitsu Scholarship to the participant. Nonetheless, Fujitsu may at its sole discretion provide the participant with the appropriate air ticket for his/her return. The participant agrees that if his/her conduct which has resulted in termination of the Fujitsu Scholarship pursuant to the above, in Fujitsu’s sole judgment, was made fraudulently, with malice or conscious disregard or otherwise in bad faith, the participant shall, upon Fujitsu’s request, immediately refund all the benefits and awards paid by Fujitsu and/or JAIMS hereunder to, or on behalf of him/her, to the date of the termination. The necessary documents are as follows. Valid test dates are between December 2009 and November 2011. Official academic transcripts must be sent directly from all academic institutions attended to the Fujitsu Hawaii Representative Office. All documentation must be received by November 30, 2011. Applicants who pass the initial screening will be contacted for an interview at a designated date in December 2011. Applicants should be residing in their respective countries of citizenship (or in Hawaii for Hawaii residents) at the time of their interview. Selection is based on English proficiency (for non-native speakers of English), work experience, motivation, goals as expressed in the essay and interview, academic performance, and test scores. A key factor is the individual’s commitment to contributing to the mutual understanding and cooperation between countries and to the development of his/her home country. However, no single attribute outweighs others in the selection process, and strengths in one area may be used to offset weaknesses in another. Demikian kami sampaikan tentang Fujitsu Scholarship, East-West Knowledge Leaders Program, Hawaii USA semoga informasi tentang Fujitsu Scholarship, East-West Knowledge Leaders Program, Hawaii USA ini bermanfaat.